At Stark Lane, we are proud to be one of the most influential executive search firms within the American healthcare industry since 2008. Our sphere of influence ranges from the Fortune 500 and the most prestigious Private Equity firms to local privately-owned providers across the United States. 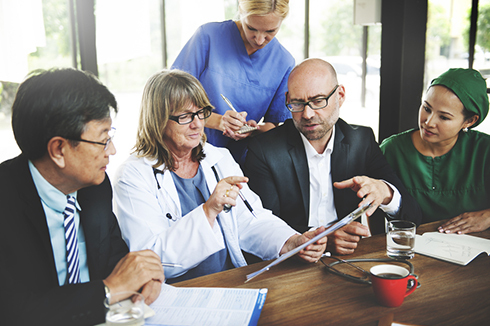 We specialize in providing organizations with the leaders who make quality healthcare possible. Connect with the team at Stark Lane today! My recruiter did an exceptional job of introducing me to my current employer, preparing me for the various interviewers and communicating my interests/needs during the negotiation. Over the years we have gotten to know each other and I have come to respect his knowledge, his diligence and character. He has offered good counsel and advice where needed. 100% satisfied with the professionalism, responsiveness, and market knowledge of my recruiter. My recruiter is professional, positive and has excellent communication skills. She responded immediately with updates. She understood the company values and perspectives. I would highly recommend her and Stark Lane. My recruiter was on top of all matter and was consistently responsive. He made me feel like I was his only client/candidate. He provided excellent customer service and I am truly satisfied by the way he represented me during this pursuit. Ryan and his team were tremendous. This process went fast and I am excited about this opportunity. The goal of the search firm is to make the right placement and the right fit for long term success. I feel I will be with this organization for the next 10 years (retirement). Great job, I will always suggest Stark Lane, Inc. before any other firm. My recruiter was fantastic. He listened to what I wanted and that is exactly what I got. He did not waste my time with a position that would not offer what I wanted. The team at Stark Lane are complete professionals and met all my needs and expectations. Highly recommend them. My recruiter was extremely helpful, transparent, responsive, and down to earth! A joy to speak with and very professional. Thanks again! Whether you are searching for the next adventure in your career or you would like to stay in touch until the time is right, our team can provide access to your dream job and fulfillment of your career goals.